M&A Advisory and Fund Placement Agent, Crosspoint Advisor, Inc.
Assistant Manager, Sustainability Department Social Innovation team Rakuten, Inc.
After six years of experience as a talent development consultant, I became a freelancer and have worked on various projects such as designing global talent development programs,coordinating World Bank’s project “1st Africa-Japan Higher Education Partnership Project,” and creative workshops sponsored by UNHCR Japan. Further, I worked for the NPO Japan Association for Refugees, and was responsible for job assistance for asylum seekers. In 2019, I was selected as Global Shapers by World Economic Forum. I am now currently in the procedure of setting up my own company An-Nahal Inc., which is focused on career development for refugees and immigrants, as well as diversity inclusion training for Japanese companies. 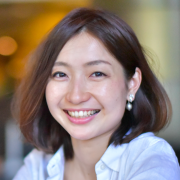 Mayumi works as an independent coach and consultant, also studying the relationship between female empowerment and corporate profitability at a graduate school. She has a long experience as a fund manager and analyst in the financial industry. Through her career, she realized that this male-centered, patriarchal culture in Japan has eliminated Japanese women from leadership positions and wasted their talents. In order to change the situation, Mayumi is starting a new organization that provides financial literacy to empower women in need in Japan. 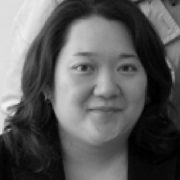 Shihoko is the Founding Director of Lighthouse: Center for Human Trafficking Victims, a nonprofit organization specialized in working on diminishing human trafficking. Shihoko is a champion of children and women of commercial exploitation. Light House provides a hotline for human trafficking victims. In 2017, Light House has provided support to 138 victims and trained 4500 people. Shihoko works to raise awareness among the law enforcement and the public about the issues of human trafficking in Japan. Currently her focus is to advocate for improved public policy and more coordinated victim-centered response. As the Founder of Healing Through Giving Foundation, Kerry provides mental health services to trauma survivors. In previous positions, Kerry focused on introducing world class healthcare technology and innovation to Japan. 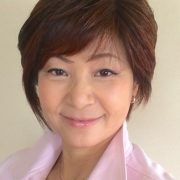 Noriko is a project manager of DO-IT. DO-IT Japan, a program within the University of Tokyo, serves students with disabilities with reasonable accommodations in their educational environments. Noriko’s vision is to provide equal access to education to youths with physical and learning disabilities. Noriko works as the first female Senior Political Writer at one of the most prominent Japanese newspaper companies. 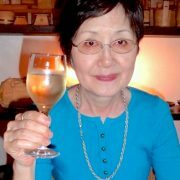 Among five columnists at the company, Noriko receives the most positive supports from the readers. As a journalist, Noriko focuses on shedding light on the opinions of women and the younger generations, whose voices often tend to be unheard in the male-dominated Japanese society. She also believes firmly that to achieve social change in Japan, people from different sectors need to share their values and visions. In order to represent the voices of minorities and to connect people from various sectors, Noriko aims to become a female leader with leadership and managerial skills. 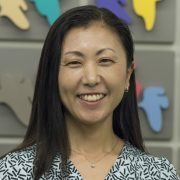 Masumi is a Chief Coordinator of Educational Support Department at Kids’ Door, an organization that is dedicated to support underserved children in Japan. In October 2016, Masumi founded a free alternative school for high school students in central Tokyo, where she and her colleagues supported young people in poverty by providing free tutoring sessions, textbooks, and nutritious meals. Masumi, however, aims to extend her activity even further; her goal is to challenge the current job-hunting norm of Japanese society, where employers place unhealthy emphasis on academic-background, and instead establish a new school where students can learn entrepreneurship. 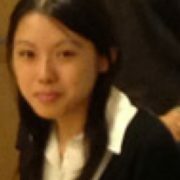 Haruka works as a Program Manager at Salesforce.org located in Tokyo. Currently she organizes volunteer programs for the Salesforce employees in Japan and manages grants primarily for education and youth workforce projects. Haruka aims to support under-represented youths by delivering career developing programs that will launch their prospective careers. Mai works as a Marketing Coordinator at Persol Career. She supported mid-career recruitment for over 100 companies and NPOs, and launched the biggest event for NPOs to hire new employees in Japan. While she was volunteering for Teach for Japan, she realized that many nonprofit organizations were struggling to work on social issues due to lack of resources and absence of innovation. Mai’s goal is to create a platform that solves social issues by connecting nonprofit organizations with experienced business people and companies. Maco started MadreBonita, a postpartum fitness program, in 1998. She developed the program combining her experience of childbirth and her expertise in sports science. She realized that postpartum issues, including postpartum depression, relationship stress, child abuse, and women’s career, are overlooked in society. MadreBonita became a non-profit organization in 2008 in hope that the organization will contribute to the public by training more instructors and raising awareness of the issue. Maco aims to form a social infrastructure of postpartum care in Japan to make it more accessible to every family. In 2015, Keiko founded the End-of-Life Care Association of Japan, an organization that provides training programs on and raises awareness toward end-of-life care. Her deep sorrow due to losing her father two and a half years ago has made her understand the need for open dialogue among the passing, families, and medical professionals. Japan is an aging society and 26% of its entire population is over 65 years or older. It is also customary in Japan for children to take care of their elderly parents. This forces many in their 40’s and 50’s to leave their jobs to look after their parents full-time. The Association’s training programs are in demand and over 1,500 medical professionals have been trained in under two years. Through JWLI, Keiko plans to develop a new training programs for those in 40’s and 50’s to be better prepares for their parents final years. In Boson, she hopes to learn how to create partnership with diverse organizations from different sectors toward shared goals. 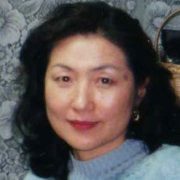 Keiko holds a Bachelor’s degree in Foreign Studies from Sophia University. In 2011, Shuko founded kuriya, a nonprofit that empowers migrant youth in Tokyo. Last year, she launched a new pilot internship to support career development by: creating opportunities to acquire life skills and providing access to paid employment. Japan is a homogeneous society with a staggeringly low number of immigrants and refugees. Shuko feels that migrant youths have great potential to contribute to Japanese society given the tremendous cultural diversity they carry within them. Shuko seeks to learn leadership skills from JWLI as she wants to involve different stakeholders to sustain and expand her organization. Shuko holds a Bachelor’s degree in Law from Keio University. 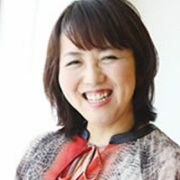 Saori founded Global Stage in 2011 and the Working Mothers Association of Japan in 2013 to help create a working environment in which women can become leaders and claim managerial positions. With JWLI’s learning and experience, Saori plans to create a new global leadership program for working mothers in Japan and learn how to better raise funds to develop her own nonprofit organization. She envisions a hopeful future where women can play a leadership role in the ways they like with flexibility. Saori holds a Bachelor’s degree in Commerce from Keio University. Kaori is a Director of Otera no Mirai, a nonprofit that provides management and leadership development courses for Buddhist temples in Japan. For thousands of years, temples have been important social capital for the communities – priests used to learn about social problems and took leadership on community well-being. In recent years, however, temples’ membership and donations declined significantly which led to financial struggle and in many cases, closing their doors. Kaori hopes to create a new learning-program for the women working in temples (wives and daughters of priests, women core members, etc. ), who are eager to modernize their temple to meet social needs. She hopes to elevate herself as a leader and learn successful nonprofit operations and management in Boston. Kaori holds a Bachelor’s degree in International Politics from Aoyama Gakuin University. Akari has worked for the social business department of Fast Retailing, a parent company of UNIQLO for seven years. Her role as a project manager leading the RISE (Refugee Inclusion Supporting Empowerment) program has aspired her to positively impact the lives of refugees in Japan. Akari is eager to develop and lead workplace inclusion programs so other companies in Japan can see the value, and not the fear, that comes with hiring refugees. As an extension of her current work, Akari plans to start a consortium consisting of not only of companies, but also government offices, municipalities, and nonprofit organizations. The consortium will promote and advise businesses on the implementation of workplace inclusion programs. In Boston, Akari hopes to understand how American nonprofits collaborate with the public and private sectors. 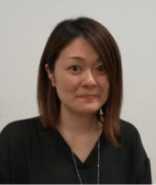 Akari holds a Bachelor’s degree in Japanese Civil Procedural Law from Waseda University. Ibuki is a Founder and an Executive Director of PIECES, a nonprofit organization in Tokyo that supports children in poverty. Her 12-year practice as a child physiatrist made her aware of overwhelming issues around children – poverty, neglect, or lack of access to education and food – as well as prepared her to start an organization. Ibuki seeks to learn leadership skills from the JWLI program as she wants to make Japan a society that places children’s health and well-being in the forefront of their mind. She wants to strengthen her management and organizational skills to make her organization more impactful. Ibuki is also a Doctoral student at the Tokyo University Research Center for Advance Science and Technology. 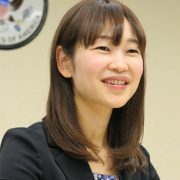 Mami is a Chief Program Officer of the Osaka City Women’s Foundation (90% of its funding comes from the Osaka prefectural government) and a Deputy Manager of the Women’s Counseling Center. She works closely with both prefectural government offices and the nonprofit sector to promote gender equality in the Osaka prefecture. Mami believes her participation in the JWLI program will help her develop a vision for a women’s empowerment program to help build self-confidence and disseminate her knowledge within the government and the nonprofit sector in Japan. Mami holds a Master’s degree in Cultural Science from the Osaka Prefecture University. Mio has been involved in a few leadership experiences where she managed and organized volunteers to support local and international efforts to help children in need. She is a founding member and currently an Executive Director of PLAS, a nonprofit organization that mobilizes resources and volunteers in Japan for AIDS orphans and single mothers in African countries. 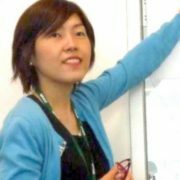 Mio hopes the JWLI program will provide her with the tools and knowledge necessary to better deliver PLAS’s services such as monitoring and evaluation, strategic planning, and increasing efficiency and productivity in operation. She also wants to be a role model for other women in the Japanese social sector. She is excited to learn women’s leadership skills through the Simmons Strategic Leadership of Women course. Mio holds a Bachelor’s degree in Liberal Arts from the International Christian University in Japan. Rie has worked in both the nonprofit and private sectors. She understands there are many differences between the two but feels the JWLI program will provide her with the skills to intertwine them. As part of a corporate social responsibility section of Dow, Rie believes there are common goals that can be threaded through the nonprofit and private environment like the ability to effectively work with diverse people, leadership and communication to better society. Rie is thrilled to be in the JWLI program to meet other inspiring women, to become more motivated with a clearer long-term vision, learn to be a more motivational leader and becoming a part of a more sustainable future. Rie holds a Bachelor’s degree in Political Science from Waseda University. 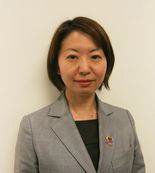 She is also a part of the Japan Women’s Innovation Network at Dow. 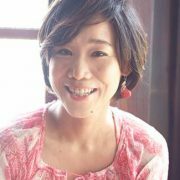 Akiko Ishiyama holds a Master of Science degree in Gender and Development Studies at the Asian Institute of Technology in Thailand. She works closely with the head of the management division of the Yokohama Association for Promoting Gender Equality for the city of Yokohama. 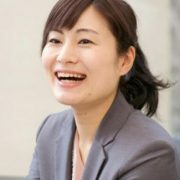 She is committed to the association’s goals to improve gender equality in Yokohama, and that is why she applied to JWLI. Her mission to make the community in Yokohama more gender equal has been shaped by her family background and work experience of inequality. To her, JWLI was a once-in-a-life-time opportunity to gain essential leadership skills and knowhow through hand-on training. Her experience in Boston has been helping her to take an invaluable step toward reforming the association and the city. 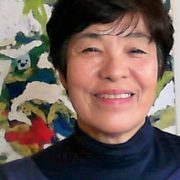 Junko Tsuda received a Bachelor of Liberal Arts in International Studies from Tsuda College in Japan and took a Spanish course at the University of Seville in Spain. 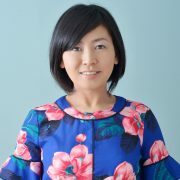 Since 2015, she has been the Program Officer at the Public Resources Foundation, an organization that facilitates continuous progress of Japan’s social sector by providing grants and capacity building to nonprofit organizations. 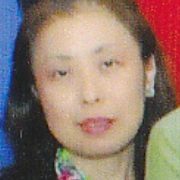 Junko developed an alliance with a tax accountant office and establishing a new scheme of establishing individual funds. With her learning and experience especially on fundraising from JWLI, Junko was instrumental in creating and launching the very first women’s fund in Japan, i Fund in December 2015. The fund is a cross-cultural alliance of women catalyzing collaborations and leveraging human and financial capital to create an equitable future for women. i Fund mobilizes hearts and resources from multiple citizens and corporations in order to fund innovative organizations that promote economic justice, job creation, and equal opportunity of women. Through JWLI, Junko learned fundraising and marketing to promote giving as a way to make change in society, and how U.S. nonprofits deliver and measure tangible outcomes from a clear vision and mission. Her plan is to build a philanthropic cycle in society where 1) nonprofit organizations are more visible and influential, 2) more people are engaged in nonprofit activities, and 3) successful cases of nonprofit services are leveraged for more donations. 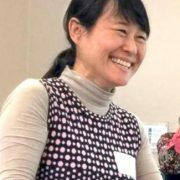 Kei Yoshidome holds a Master’s degree in International and Comparative Education from Indiana University, USA, as well as a Master’s degree in English Education from the University of Tsukuba, Japan. 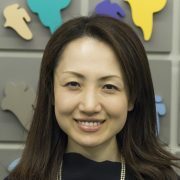 She is the Senior Program Officer at the Japanese Organization for International Cooperation in Family Planning (JOICFP). She has devoted herself to creating an environment for realizing sexual and reproductive health and rights in more than 10 countries around the world, concentrating on those who have less access to the information and services. After JWLI, she is developing a program for young girls and women to be active supporters for sexual and reproductive health issues in Japan and developing countries through her work at JOICFP. Megumi Ishimoto has an M.A. 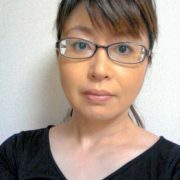 in International Contribution from the graduate program of Human Security at the University of Tokyo with a major in cultural anthropology, in which her thesis focused on “NGO’s and Fundraising in Japan.” She has 10 years of experience as an executive assistance in American financial companies. In June 2011 after the disaster in Tohoku, Megumi founded Women’s Eye, a nonprofit that began as an organization supporting women in disaster-stricken areas, especially in evacuation centers and temporary houses. It has grown to serve as a central voice for local women who are the pillars of daily survival in the Tohoku region. Women’s Eye held 510 workshops between September 2011 and January 2016, attended by a total of 5,122 participants, with a number of activities such as knitting, cooking, and exercising. These workshops were held to gather people who are separated from their communities, to motivate elderly women isolated in evacuation centers and temporary housing, and to build a community of people supporting each other who are faced with similar issues. 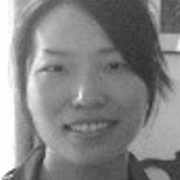 Through JWLI, she gained skills in nonprofit management, strategic planning and leadership. With these skills, she has been leading her team more effectively and strategically leveraging good practices and impacts of her organization for its continued growth. In four short months after the completion of JWLI, Megumi raised over $100,000 to host an International Grassroots Women’s Academy in 2015 in conjunction with the United Nations World Conference on Disaster Risk Reduction. Held in Tohoku, the academy was attended by 40 young women in Tohoku who are expected to become the next generation of emerging leaders in the region, and 15 women leaders from 10 countries mostly from Asia and Latin America. Mito Ikemizu holds a B.A. in Art History from the Department of Literature in University of Tokyo. She is now a freelancer managing a wide range of projects such as holding events, creating phone applications, and helping charities with fundraising. She worked for Recruit Holdings Co., a global advertising agency, for twelve years. During her time at Recruit, Mito acquired extensive knowledge and experience in the communication industry such as media planning and production, and magazine and website editing. She also learned the importance of teamwork and networking to develop and succeed projects. Additionally, Mito has been active in the social sector as a pro bono consultant. Through managing art gallery projects, she developed strong interest in corporate social responsibility. As an exhibition curator at GUARDIAN GARDEN, she coordinated a charity project supporting Tohoku. In 2012, the project raised 4,000,000 Yen all of which was donated to organizations working in the disaster area. Through JWLI, Mito was inspired by the sophisticated management and leadership style practiced by the nonprofit sector in Boston. She learned management and operation skills for small organizations and gained more insight about women’s roles in society. She also learned how women developed their leadership skills in the U.S. and how those skills are applicable to women in Japan. After returning to Japan, Mito has been creating a sustainable network and support system for Japanese local cultures and handicraftsmen. She also started her own business utilizing her experience, skills, and networks acquired through JWLI. Yuka Matsushima has a B.A. in economics from the University of Tokyo. Her background includes internships with projects such as Friends Without a Border in Cambodia and launching a fundraising program with Save the Children Japan while working as a management consultant with Boston Consulting Group in Tokyo. 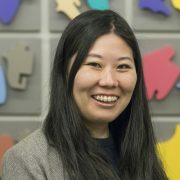 Yuka is the co-founder and chief operation officer of CROSS FIELDS, an organization that operates an international volunteering program, sending Japanese corporate employees to organizations in Asian countries. Since its inception in May 2011, the organization has expanded its partnership to 10 Japanese companies, through which she has managed approximately 30 projects in three years. During the JWLI program in Boston, Yuka learned how to enhance her understanding of the philosophy and mindset needed to lead her organization to have inherently greater impact on society. Specifically, she focused on leadership skills as a woman manager. Her vision is to facilitate active participation of private sector professionals in community work through supporting social sector organizations to address such needs as earthquake disaster reconstruction, aging society, low birthrate, and expansion of income disparities. In 2016, Yuka was invited to attend the World Economic Forum in Davos, Switzerland, as one of the representatives of the Japanese social sector. 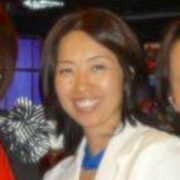 Yumiko Nagai is an Investor Relations Director of the International Network Division of United Way Worldwide. 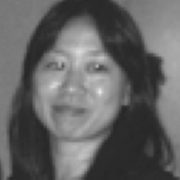 Yumiko received a Master’s degree in industrial and labor relations from Cornell University. She is an experienced human resources professional, and was a senior executive overseeing human resources in a number of large corporations such as General Electric, Hermes, and Abbot. In 2013 after many years in the private sector, she changed her career to the nonprofit sector. In 2014, she participated in JWLI just after her joining the Japan Philanthropic Association. Through JWLI, she learned nonprofit strategy, management, and operation. 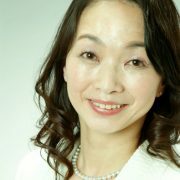 Yumiko is currently Japan’s country representative for United Way Worldwide. Her primary responsibility is to help implement UWW’s strategic business plan in Japan through developing and supporting the capacity of UWW’s Japanese partner, Central Community Chest of Japan. Her vision is to create a society in which every person feels life is worth living. Two important steps for her vision are 1) growth of the nonprofit sector to address social issues, and 2) increased awareness of social issues and active participation by regular people in volunteerism and giving. She believes in women in Japan to play an active role in the nonprofit sector that requires a new style of management and leadership for its continued growth. As a start, Yumiko has been actively working with the JWLI alumni association to empower Japanese women. Tomoe Yamada is a founder of DAI.JO.BU, a company established in May 2016 to foster the next generation of female leaders in Japan. DAI.JO.BU provides customized leadership programs for young leaders who want to find their own leadership styles. Tomoe is an author and has written a few books such as Instagram 101 and Instagram Marketing. The most recent one is “Journaling that changes your life,” which will be published in spring 2017. Her mission is to empower and support people by providing unique methods of self-discovery and leadership development. Tomoe was the General Manager of the social media division at OPT inc, the Japan’s largest internet advertising company for four years. She successfully educated and organized professional social media marketers, and under her leadership, her division became one of the most famous, celebrated teams in the Japan’s social media industry. Tomoe was the Director of Shuttlerock, a start-up company, for two years. She created new markets such as the User Contents Market in Japan. Tomoe introduced the service to over 100 companies and returned the investment in less than two years. 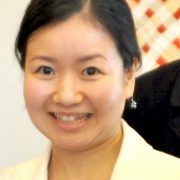 Tomoe has an MBA from Keiko University’s Business School and currently lives in Tokyo, Japan. She has an extensive network of women leaders worldwide and enjoys visiting them for women’s leadership around the world. 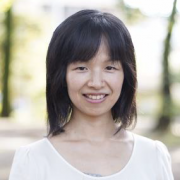 Kaori Kobayshi has a PhD and is a research associate professor at a national university in Japan, as well as the manager of the Gender Equality Promotion Office. Her expertize is on gender issues, post-conflict issues, Latin America area study and human security. She has two Master’s degrees in the social sciences, and has taken part in numerous academic certificate programs. Kaori has worked for The United Nations Population Fund (UNFPA) and The United Nations Development Program (UNDP) as a program officer/specialist, and other non-governmental organizations in developing areas/countries. 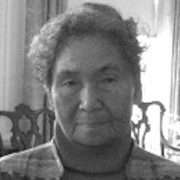 She has been to sixty countries and learned eight foreign languages including three indigenous/minority languages. Her experiences working with underserved communities in South Africa after apartheid have influenced her perspective and desire to contribute to social change. She is currently writing several academic books in three languages. Through JWLI, Kaori learned strategic management for women and how gender equality is enforced in the United States, as well as management methods of nonprofit organizations. With her JWLI experience, she is planning to help improve Japan’s labor system for women in order to achieve women’s equal social participation. Ultimately, she would like to establish and manage a nonprofit organization to support women in the future. Misuzu Ninomiya is a Managing Director of Sekaino Tomodachi, a nonprofit organization that tackles child abuse by empowering mothers to become more confident in raising their children. Misuzu has an Associate’s Degree from the Fisher Junior College in Boston. She is a freelance interpreter and has volunteered her interpreting services to help English speakers in the city of Funabashi. 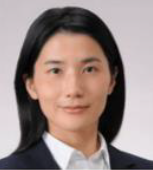 Her corporate career includes The Industrial Bank of Japan and Coca-Cola Japan. Through JWLI, Misuzu focused her learning on government-nonprofit collaborations for anti-child abuse advocacy. JWLI also educated her on active community participation by seniors, fundraising, and day-to-day management and operation. With the experience from JWLI, Misuzu established Sekaino Tomodachi, a separate program within a 10-year old nonprofit organization. Its primary service is to provide isolated mothers with infants in Funabashi with weekly 2-hour house visits by trained volunteers. Through identifying and working on issues with the volunteers, the mothers learn childcare skills and knowledge, eventually becoming more confident in raising their children, leading to the decrease in chances of child abuse. Their message to these mothers is “You are not alone. We will be with you. Please count on us.” After five years in the program, the mothers can receive training and serve as volunteers. The volunteers are also empowered through the program by honing in on their childcare skills, gaining knowledge from study sessions, and expanding their networks and resources. The program also creates cross-generational dialogue and activities to help foster lifelong learning, making Funabashi a better community for all of its residents. 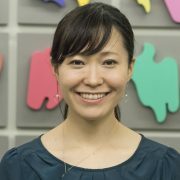 Shima Fumimoto is a member and a clinical psychologist of I am OK No Kai, a community-based nonprofit organization in Tokyo that provides services and training with children with developmental challenges. She teaches social skill training classes once a month for elementary and middle school students as a volunteer. She is now a full-time teacher at OK Planet, a preschool program operated by I am OK No Kai for children with special needs. In order to facilitate more collaborations in the field, Shima is planning to establish a network of nonprofits, schools, administrative agencies as well as service provider professionals. After visiting nonprofit organizations during JWLI, Shima learned how creatively nonprofit organizations in Boston were collaborating their fundraising efforts to accomplish their common goals. She has been applying her learning to her practice in Japan. Kiyono Yagami is the president of Momstart Club, a family support nonprofit organization addressing issues that mothers face after giving birth. Its goal is to encourage mothers to take full advantage of business and personal opportunities that are difficult to pursue. After JWLI, Kiyono established the Work Shift Program to create space for mothers to work by offering sitters for their children. 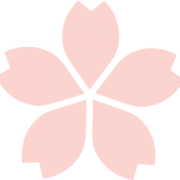 Kiyono encourages and supports women within and outside Japan, and helps develop women’s nonprofit organizations with her expertise in marketing, program development, and capacity building to advance equality within the business sector. 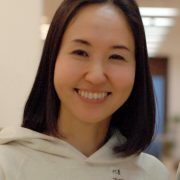 After learning the importance of financial stability of nonprofit organizations at JWLI, Kiyono founded Global Mama Gateway Inc., a for-profit company that empowers women to pursue various types of employment, such as entrepreneurial, part-time, or telecommuting, to fit lifestyles of working mothers. While diving her time operating her organizations, Kiyono currently focuses on managing Manabiya Mom, a co-working space with childcare services offering a wide range of seminars and classes for mothers to expand their networks and resources, and become active members of society. Noelle Takahashi is an emerging leader for women’s empowerment and leadership. She is passionate about making social change as a political leader advocating for women’s rights. In 2015, Noelle was selected to participate in the Women in Public Service Project (WPSP) at the Wilson Center, which was created by Hillary Clinton. In 2014, the East-West Center selected her to be part of its New Generation Seminar and the Changing Faces Women’s Leadership Seminar. In 2013, the U.S. Embassy in Tokyo and the U.S.-Japan Council selected her as a mentor for the TOMODACHI Women’s Leadership Program. Kazuo Inamori, the Founder of Kyocera, selected her as an Inamori Fellow at the Center for Strategic and International Studies (CSIS) since 2013. She was chosen to participate in executive programs at the Harvard Kennedy School, and the Women’s Campaign School at Yale Law School. With her learning from JWLI, she has also been devoting her time to serving various nonprofit organizations. Rika Tanioka has been involved with television and radio broadcasting work for 20 years since she graduated college. Noticing the gender inequity in the media world and the lack of female representation, she became highly committed to advocating for greater gender diversity for reporters and managers. When she became a professor at Tokai University, the awareness of this problem has allowed her to focus on trying to increase women’s leadership in news staff to ensure diversity in broadcasting. After the 3/11 Tohoku disaster, she has directly supported female leaders in Iwate prefecture, and traveled to the site of the nuclear explosion in Fukushima several times each year. In 2016, Rika launched the “Blue Sky Reading” project, a website in which people who are handicapped, elderly, and children can enjoy listening to audiobooks. She is planning to incorporate the organization by April, 2016. Yuki Abe worked for Recruit Holdings for her entire professional career until her recent retirement. At Recruit, she was a sole proprietor for the service industry, mostly in the health and wellness sector, helping with developing human resources, offering brand management consulting, and providing training services. After she retired from Recruit, she became a freelancer, providing expertise and resources in the above areas of work. While she was in Recruit in 2006, she started Career Café with her friends, a project that offers workshops and opportunities for women to network, find role models, and build social connections. She has also developed and implemented educational programs for service improvement that uses customer satisfaction information and social communication, feeling that there is high demand in this area. She is using the knowledge and experience from JWLI to develop effective information on career development for female students, aiming to eventually design a program for Japanese women to develop leadership skills. Yuri Hatta is an analyst and consultant working in the Japan Management Association Research Institute (JAMR).The JAMR is a unique family of nine organizations that focuses on management consultation, management education, system development, research and publishing. Yuri focuses on supporting municipal offices on communicating their plans and policies to their residents. She also facilitates the dialogue between the municipalities and residents by hosting workshops. Besides her current work, Yuri also plans to study how to finance small organizations, so she can raise money for nonprofit organizations from the private sector of Japan. Michiko Kohga is a retired lecturer on public speaking, debate, and cross cultural communication. She taught at both Shukutoku and Obirin Universities until 2015. Currently, she runs a business using her expertise in PR and communication. Her company offers a wide range of services including seminars, workshops, book writing and translation, as well as promotion and coordination of PR activities. Michiko is currently enrolled in the Open University of Japan to gain a deeper understanding of how people interact within society, which will allow her to enrich the Tomo Café program. She is a founder of Words and Heart, an organization in Tokyo that offers coaching and workshops on career development and self-growth. As part of Words and Heart, she created Tomo Café (Friends Café) in 2010, a program that promotes dialogues on social issues, providing participants a chance to meet people from diverse backgrounds to expand their skill sets and networks. Additionally in 2015, she started a mentoring program called Greenway to Learn. Yuka Miyazawa is a social entrepreneur who found the nonprofit called Chibikko House Day Care that provides childcare services, and a for-profit company, the Kodomo Project. 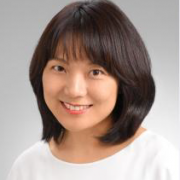 Yuka is a member of the Yamanshi Prefecture Nursing Plan Committee and the Community Business Conference, as well as a lecturer at the Yamanashi University. Twenty years ago she began volunteering to expand child support services in order to meet the increasing needs of mothers, firmly believing that excellent childcare was imperative for the wellbeing of children, mothers, and families. Recognizing how gender issues are affecting the childcare system in Japan, she hopes to start a school where woman can learn about nonprofit organizations, and to open a Workshare Café aimed at exchanging ideas to empower female leaders. 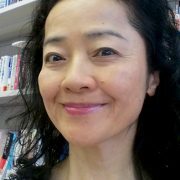 Kazue Kojima earned her PhD degree at the University of York in UK, and her concentration is on Japan’s declining fertility rate. For her thesis, she conducted a total of 22 interviews with single and married Japanese women to explore and discover the causes behind why Japanese women were choosing to postpone marriage and having fewer children. Her thesis touched upon broader implications of gender inequality due to the Japanese patriarchal structure, explaining why this impacted women’s choices. Since the graduation, Kazue has been working to help women build better lives for themselves in a society with gender discrimination. 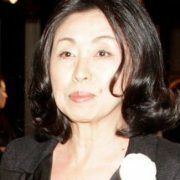 Keiko Sakurai managed the marketing and strategy aspect of a multinational brand for decades. With her broad expertise in marketing and strategy, she founded her own company “Office Sakurai” and now works as a freelance consultant. 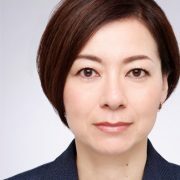 Keiko’s work focuses on supporting Japanese women in management positions by providing coaching and mentorships to encourage their successes in Japanese society. Keiko also started the Global Communication Program, a new initiative that provides children in public elementary schools with opportunities to develop clear visions and dreams for their futures. 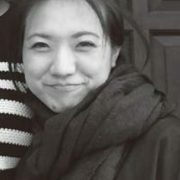 Keiko started the JWLI’s alumni association in Tokyo in December 2012, a volunteer-based group that engages the Fellows with JWLI and connects them with each other for continued education and collaboration. 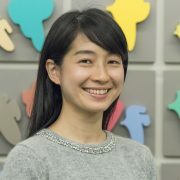 Chisato Shiba is a program officer for the Japanese Organization for International Cooperation in Family Planning (JOICFP); she works on fundraising, event planning, and building corporate social responsibilities for the organization. 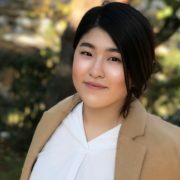 Through the JWLI program, Chisato learned a lot about philanthropy and fundraising techniques popular in the U.S. After returning to Japan, she has been focusing her free time on establishing a social enterprise that empowers women in developing countries. Currently, she is studying how to build up a social enterprise in Japan by attending seminars and discussions about learning effective leadership tools. 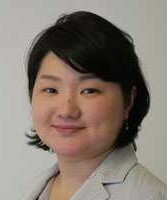 Eriko Tanno is a Strategy and Planning Officer at Plan Japan, primarily working on organizing board meetings and coordinating the work between staff and board members. While attending a graduate school in Scotland, she conducted comprehensive research on women who have suffered from sexual violence caused by conflicts, and eventually wrote her thesis on this topic. 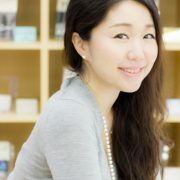 After JWLI, she joined Plan Japan to devote herself to advocating for gender equality and the enhancement of women and children’s lives. Eriko is currently attending various activities about different social issues in order to explore partnerships for collaboration on issues pertaining to women and children. 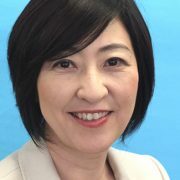 Masako Kurita is a leader of nonprofit organizations. She serves on the board of Gunma Prefectural Women’s Liaison Group and Ayumi-no-kai, an organization that supports female foreign residents of Gunma. 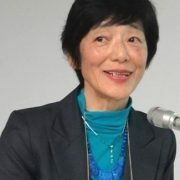 She is also a member of the Japanese Association of International Women’s Rights. Masako is currently concentrating her time and efforts on Women’s Will Gunma, which she founded to promote active civic engagement of women and gender equality. She advocates for women’s leadership through facilitating lectures, workshops, and courses that encourage women to be active participants in society. After returning to Japan from the JWLI program in Boston, Masako made several speeches about contributions made by American nonprofit organizations to women’s empowerment in the U.S. She spoke about the importance of work-life balance and the value of investing in the community. She has been conducting research on services and fundraising activities of their American counterparts for their Japanese counterparts. Currently, she is promoting new regulations on tax benefits from charitable donations. Understanding the lack of fundraising activities in the Japanese social sector, she is also promoting the concept and techniques of fundraising and encouraging nonprofit professionals to be a fundraiser. As recognition of her work on women’s empowerment, Masako received the Shining Women (Kagayaku Josei) Award from the Gunma prefecture in November 2015. Maya Sato has an extensive background in marketing. In 2015, she changed her jobs and currently works for an e-commerce company. As a seller support associate, she works closely with English speaking customers providing translation and interpretation services on technical issues and inventory problems. Previously, Maya worked as an operator in NTT tele-mart in Sapporo, Hokkaido. Maya participated in JWLI because of her strong interest in issues of domestic violence among Japanese women. 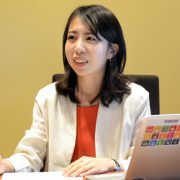 She is an advocate and an expert on domestic violence in the Sapporo area and plans to apply her knowledge of nonprofit operation from JWLI to Japanese organizations. Moving forward, in addition to continuing to work with survivors of domestic violence, she hopes to address issues of work environment and employment problems in Japan. Taiko Iwahara worked for the International Association for Volunteer Effort (IAVE) since 1971. IAVE is an international organization that exists to promote, strengthen and celebrate volunteering in the myriad of ways it happens throughout the world. 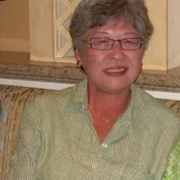 After her retirement, she was invited to join The Pan Pacific and South East Asia Women’s Association (PPSEAWA) as a Board Chair. Taiko mainly focuses on issues pertaining to human rights for women. Currently her work at PPSEAWA focuses on leading the Program Development Committee to file positive actions and requests to Cabinet and Ministry offices in Japan. 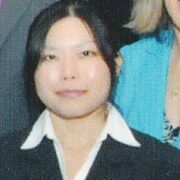 Hazuki Takahashi is a licensed social worker with extensive experience in working with special needs children. 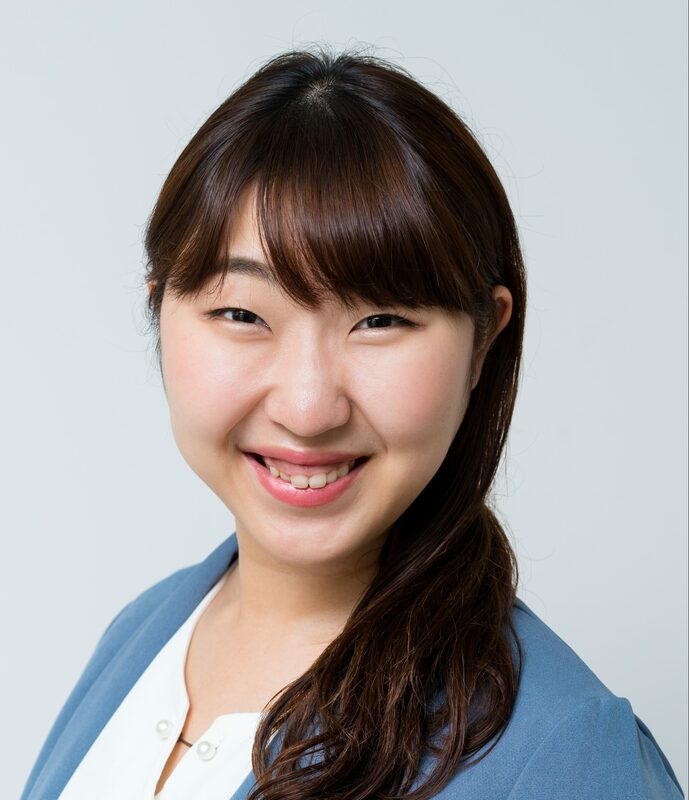 Since September 2015, Hazuki has been an in-house social worker with a title of Life Supporter for Children at Wai-Wai Plus, a childcare service center for children with special needs. She also works with children who have mental health and developmental challenges. It is a rewarding job for her to spend time with these children and to be able to watch them grow into independent individuals, simultaneously learning a lot from them. Previously, Hazuki was with Minna-Issyo, working closely with children in a similar capacity. Minna-Issyo is an organization that provides services to adults and children with mental health issues who live in group homes. Combining her knowledge from JWLI and her expertise as a social worker, Hazuki hopes to continue working with children with special needs by helping them become productive members of society, and to ensure they have bright futures. Makiko Niwa worked as a part of the nonprofit organization Garuda Supporters, which offers emotional, cultural, and social support to foreign trainees of nurses and caregivers who came to Japan from other countries in Asia (mainly Indonesia). 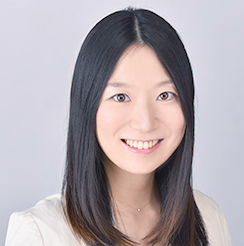 Makiko was actively involved as a volunteer committee member until the organization’s operation was completed in 2013, and now works for the Institute of Cultural Affairs (ICA). ICA is a global community of nonprofit organizations advancing human development worldwide. 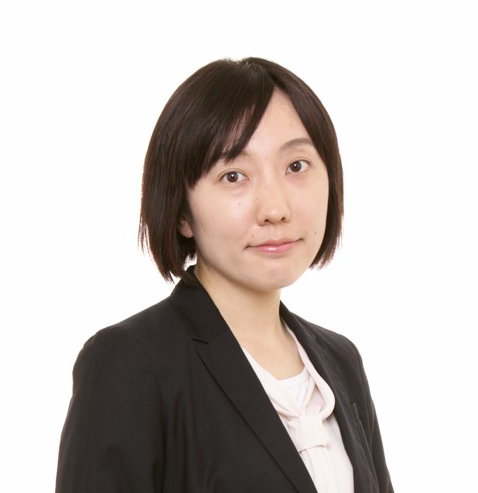 As their financial officer, Makiko works to ensure that domestic and international staff members can conduct their projects with peace of mind by guaranteeing them as a nonprofit organization, and verifying that they have social security. She was also instrumental in securing healthcare and other benefits to ICA staff as well as getting ICA registered as a certified nonprofit organization in Japan. 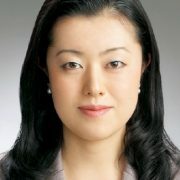 Satoko Shiozaki is the Vice President of the National Federation of Business and Professional Women’s Clubs of Japan (BPW Japan), a non-governmental organization that tries to eliminate gender gaps and promotes women’s statuses in Japan. Satoko has also supported victims ofdomestic violence and fought deficiencies in Japan’s shelters and social programs for years. She is working in a consultation center for women, children, physically and mentally challenged persons, and victims of domestic violence. Understanding how difficult it is for survivors of domestic violence to be self-sufficient, she applied to JWLI to learn new ways to improve the current state of Japan’s shelters and safe-houses. She is currently focused on fostering communities that teach survivors to be self-reliant and successful by providing emotional, financial, and educational support. 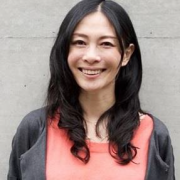 Another aspect of Satoko’s work and business plan is directed towards fighting ageism in Japan’s legal and social work system; she does so by supporting women of all ages and backgrounds, simultaneously promoting a more gender-equal society. 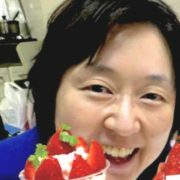 Sun-Hae Bae is the coordinator of the Association for Nakano International Communications in Tokyo “中野区国際交流協会.” Her main role is to coordinate free Japanese language classes for foreign residents. She manages 160 volunteer teachers and 400 students ages 6 to 80. She also organizes volunteer groups to bridge the gap between Japanese and foreign residents in Nakano. Furthermore, she coordinates exchange programs between Nakano and its sister cities. As a leader in a church and a member in several women’s groups, Sun-Hae’s mission since JWLI has been to share her JWLI learning on leadership with these groups. Her vision is to create positive relationships between foreign and Japanese people in her community. Understanding how cultural and religious differences can build barriers between people, she creates opportunities for dialogue to help both groups understand each other better. Additionally, Sun-Hae recently started Syakujii Food Pantry for Children,“石神井ゆうやけ子ども食堂,”a group to address poverty, which is one of the most serious, hidden issues in Japan. She and her team started this group in Tokyo in 2014, and have been serving meals ever since. 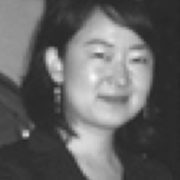 Yuka Hayashi is a Japanese coordinator at the Institute of Cultural Affairs (ICA). ICA is a global community of nonprofit organizations advancing human development worldwide. Aside from her work at ICA Japan, she has created a project called “The Going Forward Plans.”The project is mainly related to her professional position with ICA specifically in her role as a Coordinator for the 2008 Conference. This conference featured a topic of gender balance and equity, focusing on issues of gender diversity. Working at ICA, she often visits companies that are interested in human development issues to gain their endorsement of ICA, and for financial support. 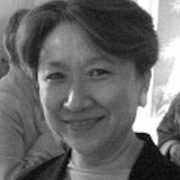 Masako Hiramatsu is the Chair of Planning Committee at the National Federation of Business and Professional Women’s Clubs of Japan (BPW Japan), a non-governmental organization that tries to eliminate gender gaps and promotes women’s statuses in Japan. From 2003 to 2005, she was the President of this organization, and is also an established journalist in Japan. During the Vietnam War, she was the only female journalist who was allowed by the Japanese government to cover the war in Vietnam. After participating in the JWLI Fellow Program, Masako made presentations in Japan about what she learned from the nonprofit sector in the U.S., using her experience in Boston as a case study on aspects of work life balance. She is also working on providing data for Japanese organizations about programs and fundraising in American nonprofit organizations. She has arranged opportunities to discuss and reinforce the value of civil power and the work of nonprofit organizations, emphasizing on the necessity to empower women. Masako has also been involved in strengthening relationships among Japanese and American universities. Above all, she is also promoting new governmental regulations such as laws on tax benefits from charitable donations.